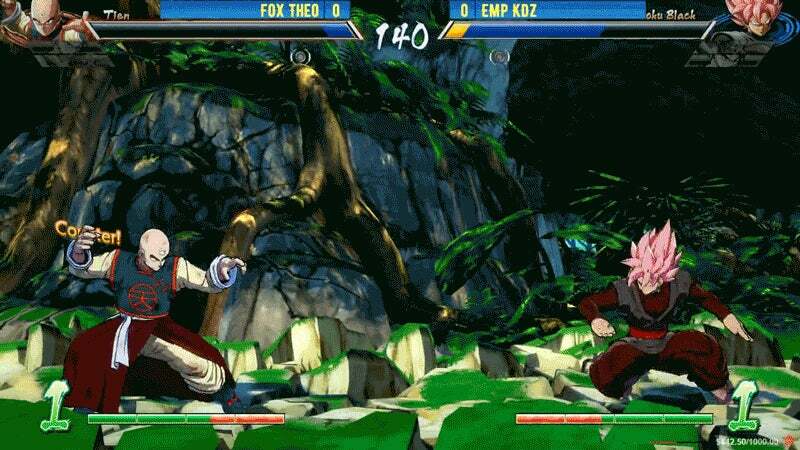 At Winter Brawl in Pennsylvania today, Echo Fox's Theo and EMP KDZ were dueling to see who would head into the Dragon Ball FighterZ top 8 on the winner's side. Down to a sliver of health on both sides, KDZ went for a vanish attack, and in a split-second reaction, Theo answered in kind. Vanish is a universal move that any character in FighterZ can use to instantly teleport behind their opponent and attack, at the cost of one bar of special meter. Each fighter was low enough that a single vanish would do it. KDZ just ended up being the one to gamble and lost, plunging into the loser's side where he would fall in a match to Necro Undine. Theo, meanwhile, is headed into a match against Marvel player Christopher Gonzalez, or Chris G. If you want to catch the top 8 action, it closes out Winter Brawl tonight, starting at 9 p.m. ET on the Bifuteki Twitch channel.